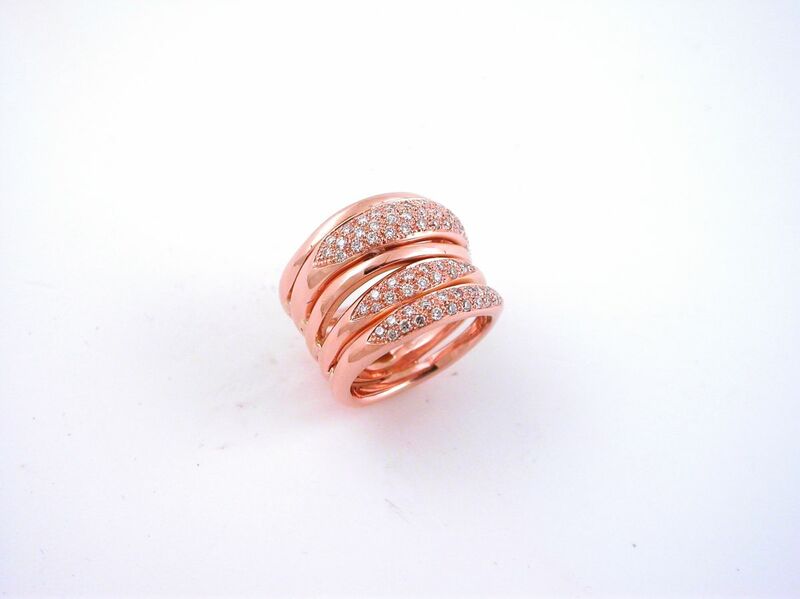 18 carat gold (kt) pink gold: 14.60 grams (gr). White diamonds. Brilliant cut: total weight 0.72 carat (ct) (G color VVs clarity). Size: 6.50 inches (Usa) | 13 mm (Italy). Time For realization: 3 weeks. Codex: Eols.